We all need something new, to change things up a bit. I needed something like this. My kids needed something like this. So after a lot of tinkering I would like to introduce Language Trifolds! 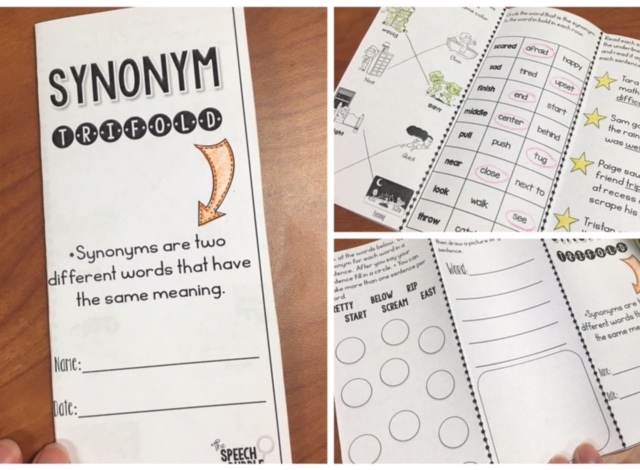 These NO PREP, flexible pages are not your average worksheet! There are 5 different language trifolds in this pack: Synonyms, Antonyms, Pronouns ( he, she, they, it ), Irregular past tense verbs, and Categories. 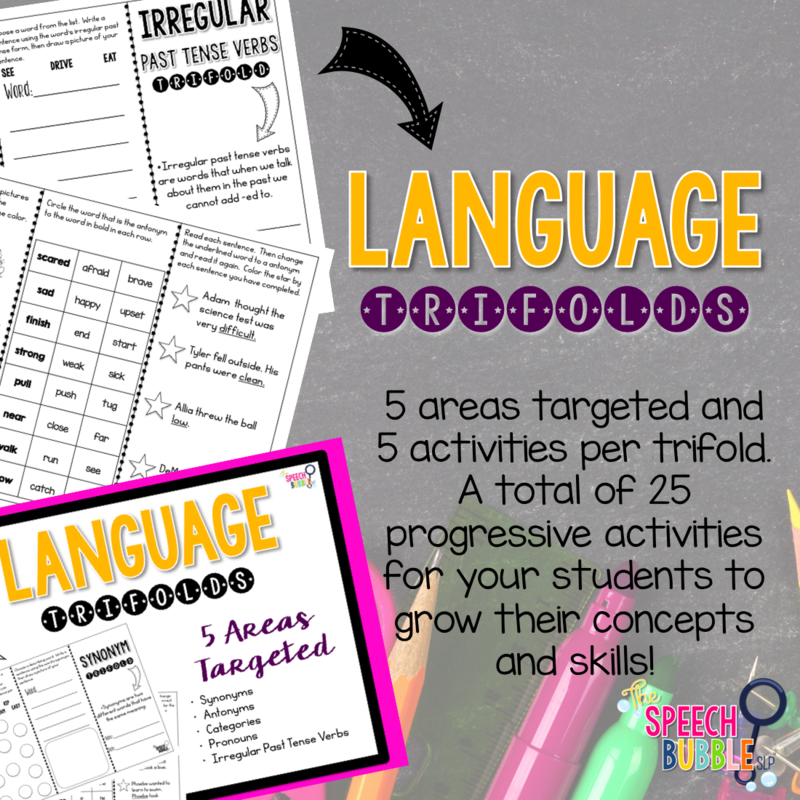 Each trifold has five different activities. The activities follow a progressive hierarchy in difficulty so students can get a variety of practice and help you see where they may still be needing some support. You can print them on regular white paper or on print each one on a different color paper for an easier time locating a specific one. Just print doubled sided and fold! These make great practice for sessions or they can be done for homework. You can learn more about these activities at my TpT store. You can also take it for a test drive with this FREEBIE!